BR-PC members and avid shooters out there! BR-PC runs competitions year round, ask Range Officer for details. This is to advise you that we have recently seen an increase in the theft of firearms and ammunition from domestic addresses. 1. Ensure keys to gun cabinets are kept in secure location . 3. Surrender your firearms to a firearms dealer or alternate authorised secure storage for safe keeping when away from your premises for periods in excess of one week. 4. Ensure your premises have sufficient security i.e. sensor lights, alarm, locks on doors to prevent unauthorised access. 5. 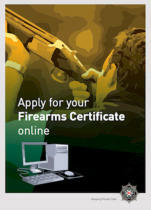 Ensure you comply with the security conditions on page 1 of your Firearm Certificate at all times. To all club members, For security reasons events and competition results as well as some club photos will only be available to view once you have log into the members only website section.